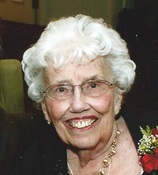 Robinson, Beatrice “Bea, Betsy” (Croteau) RN, 88, of East Providence died Friday. She was the wife of the late Robert Robinson. Born in NH she was the daughter of the late John and Mary (MacKenzie) Croteau. Betsy worked at Women and Infants Hospital (Formerly Lying Inn Hospital) for 28 years. She was the mother of the late Robert Robinson Jr. of Providence, and is survived by Kathleen Hathaway and husband Milton of Dighton, MA, Jeanne Bowerman and husband Larry of Adrian, MI, Richard Robinson and wife Gail of Cranston, Joyce Boucher and husband Albert of Riverside, James Robinson and wife Christine of San Ramon, CA, William Robinson and wife Lori of Riverside, and Betsy Mercer of Concord, NH, 26 Grandchildren and numerous Great and Great-Great Grandchildren. The funeral Service will be held on Thursday, July 3rd at 10AM in Saints Matthew and Mark Episcopal Church, 5 Chapel Road, Barrington, with burial in Quidnessett Memorial Cemetery, 6365 Post Road, North Kingston. Calling hours will be on Wednesday from 4-7 PM in the Smith-Mason Funeral Home, 398 Willett Avenue Riverside. In lieu of flowers, memorial contributions to Gentiva Hospice, 2374 Post Road, Suite 206, Warwick, RI 02886 would be appreciated.